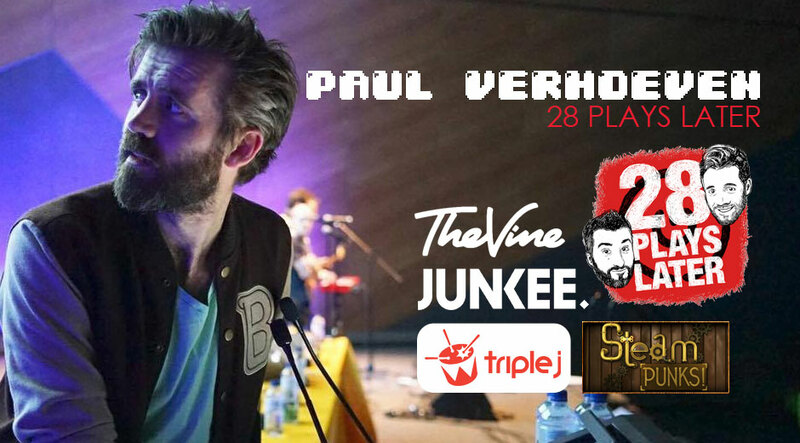 Paul Verhoeven is a writer, comedian, host, and storyteller. He co-hosts the popular gaming podcast 28 Plays Later with Kris Straub, is the host of the ABC3 show Steam Punks, and is currently writing the upcoming novel Loose Units. Previously he was a host and producer of various Triple J programs including The Breakfast Show, Nerdy by Nature, and The Graveyard Shift. He is a regular guest on The Project, Studio 3, and Good Game, having also co-hosted on gaming show Save Point and geek comedy program Planet Nerd. He has written for The Vine, Junkee, MMGN, and Film Inc, and made his stand up comedy debut in the show Tell Me Lies at the Melbourne Fringe Festival.